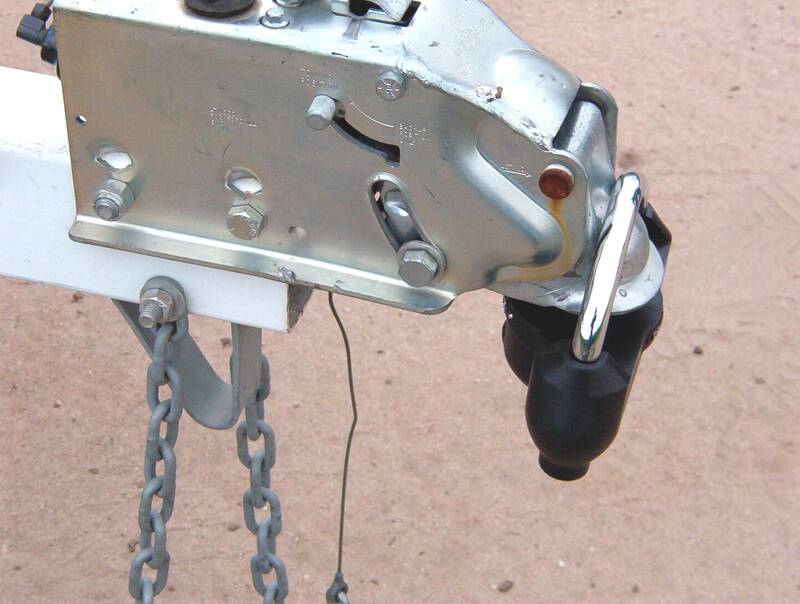 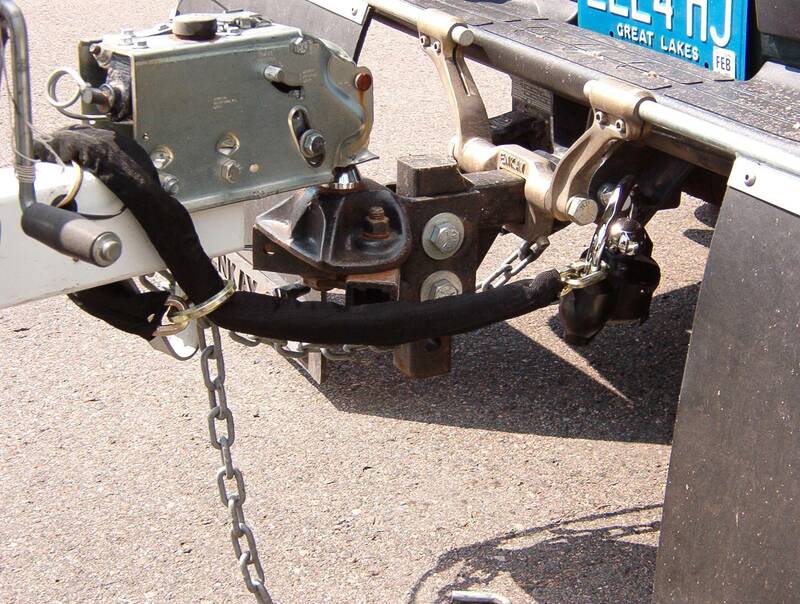 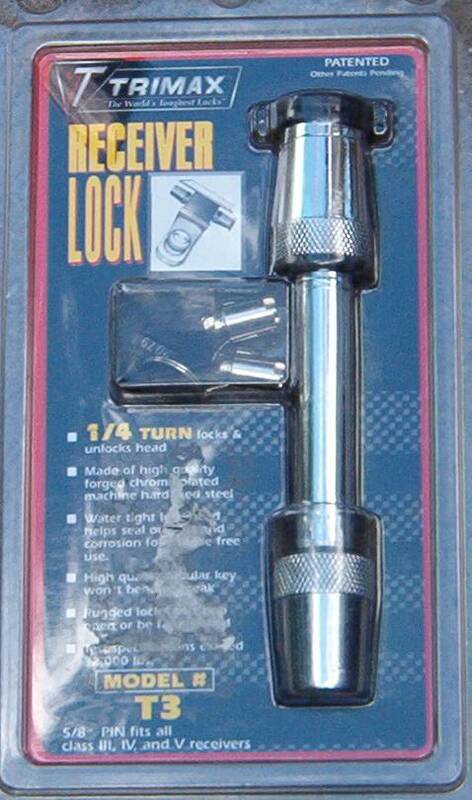 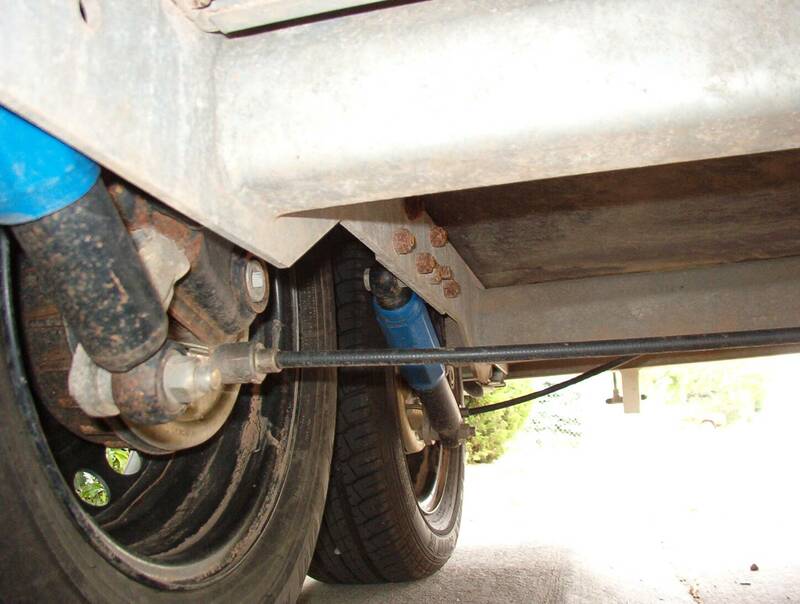 Usually when I tow any trailer with a Quadrasteer, there is a dramatic improvement in trailer control. 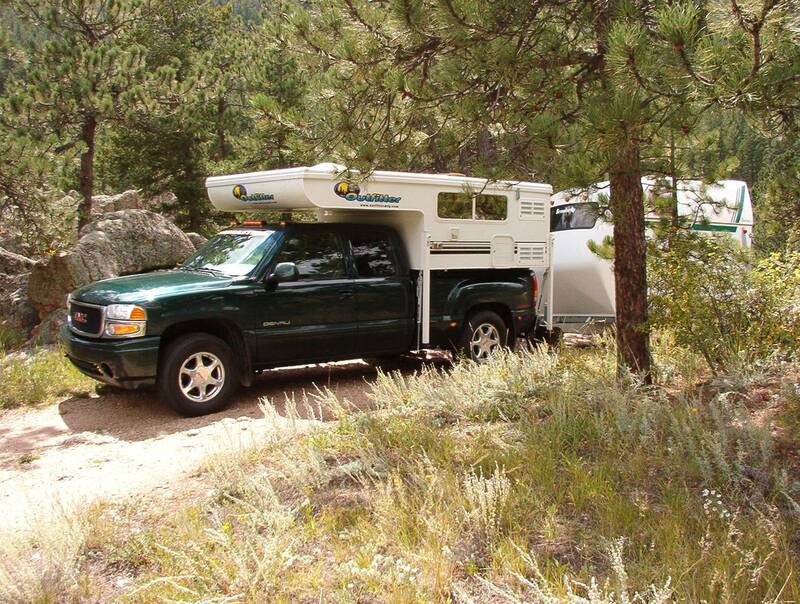 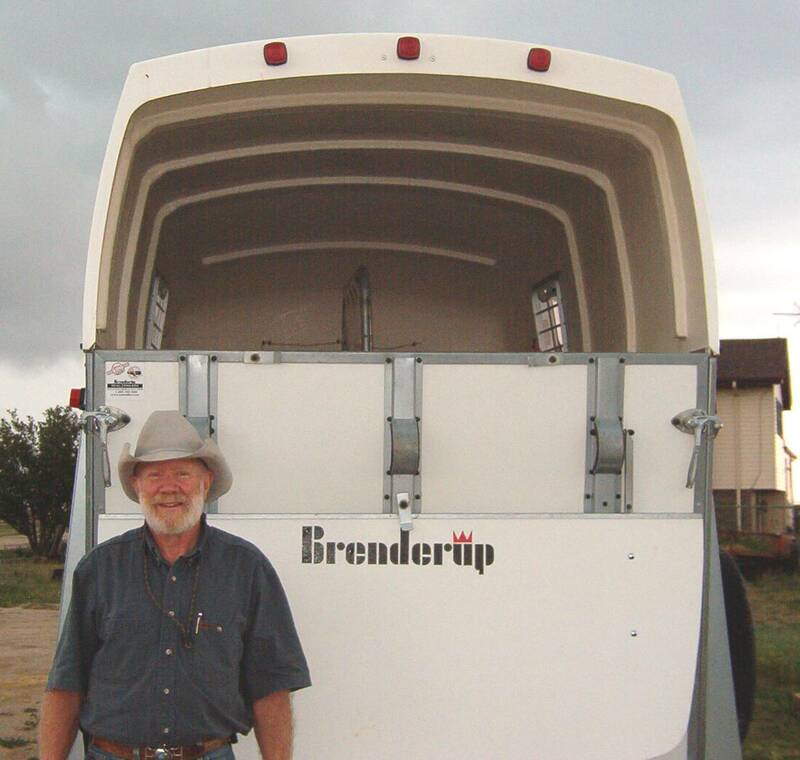 The Brenderup is the exception, it towed great even with 4-wheel-steer option shut off. 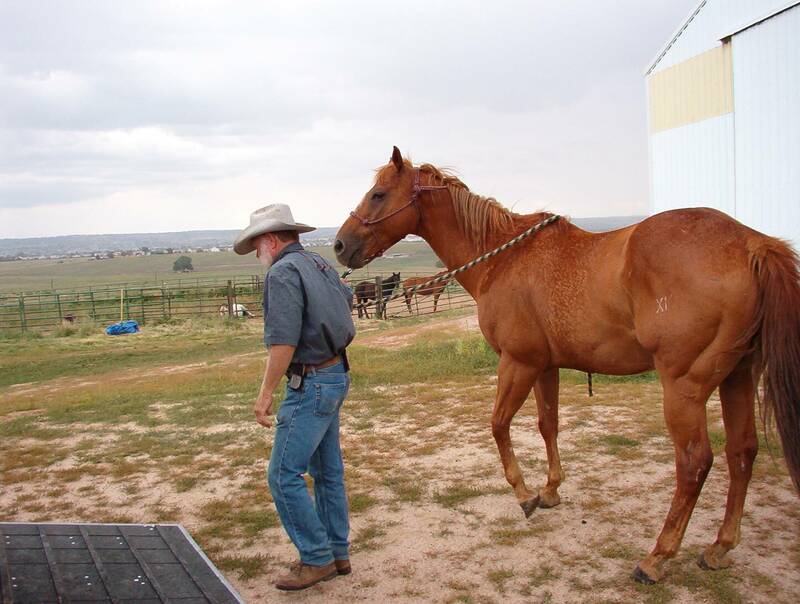 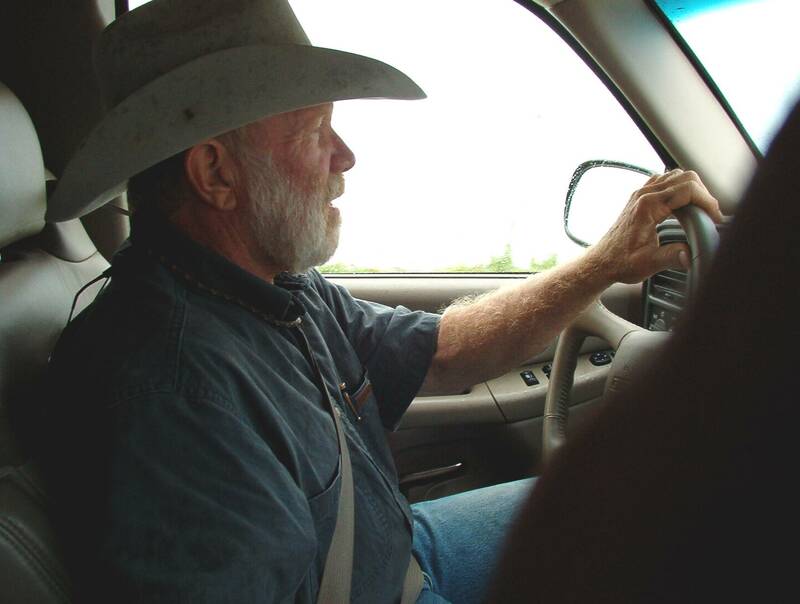 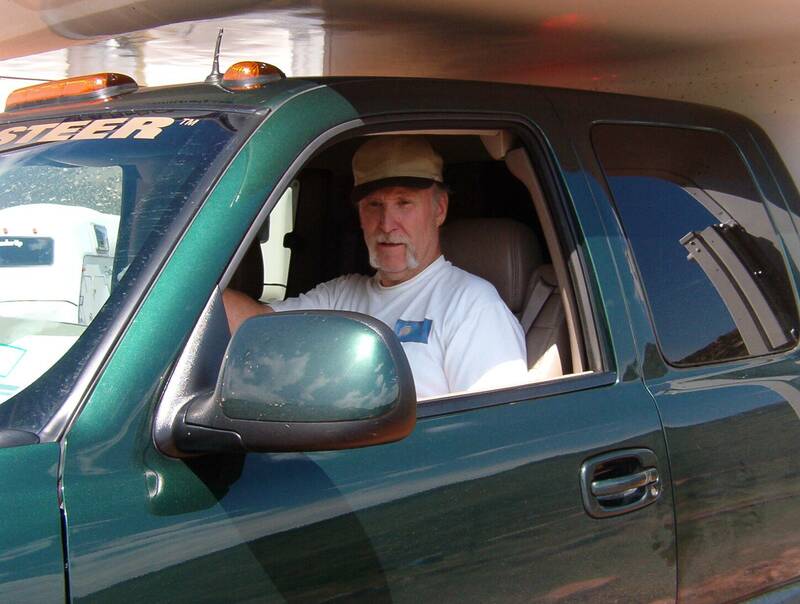 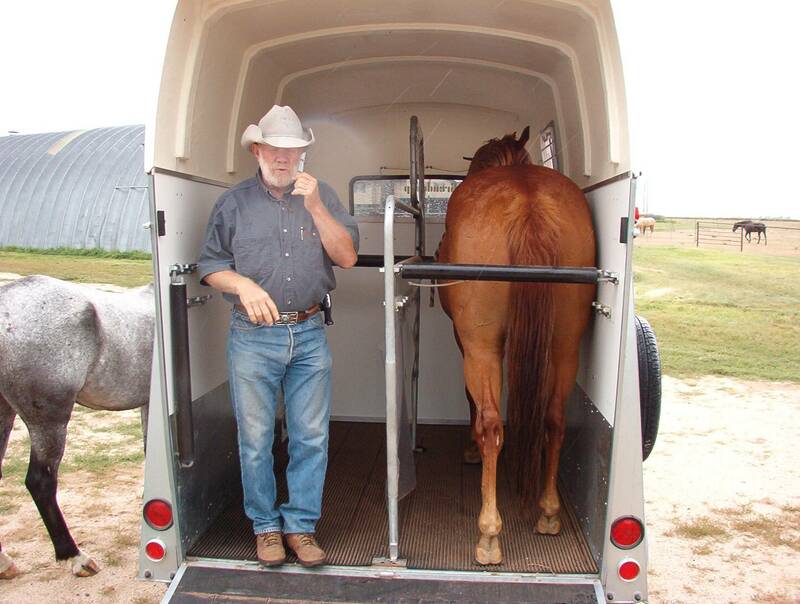 I had an experienced horse trainer, Jim Rae, with the Colorado Natural Horsemanship Center, load two of his Quarter Horses in it, drive it and tell me his impression. 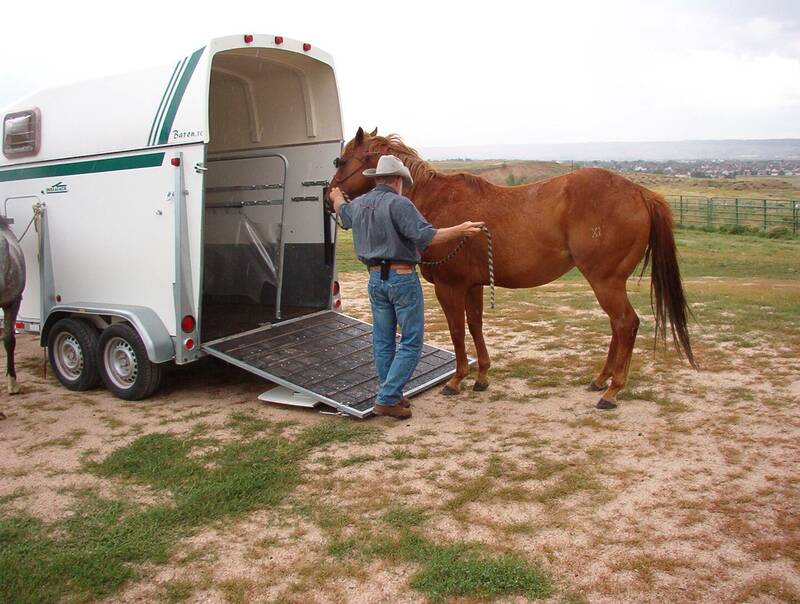 He had never seen a Brenderup, his horses never used a ramp trailer before. 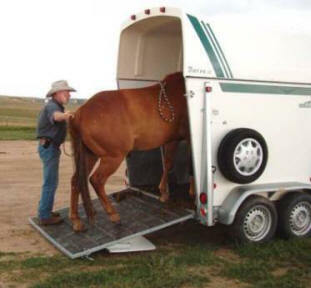 We were all surprised at how well it did. 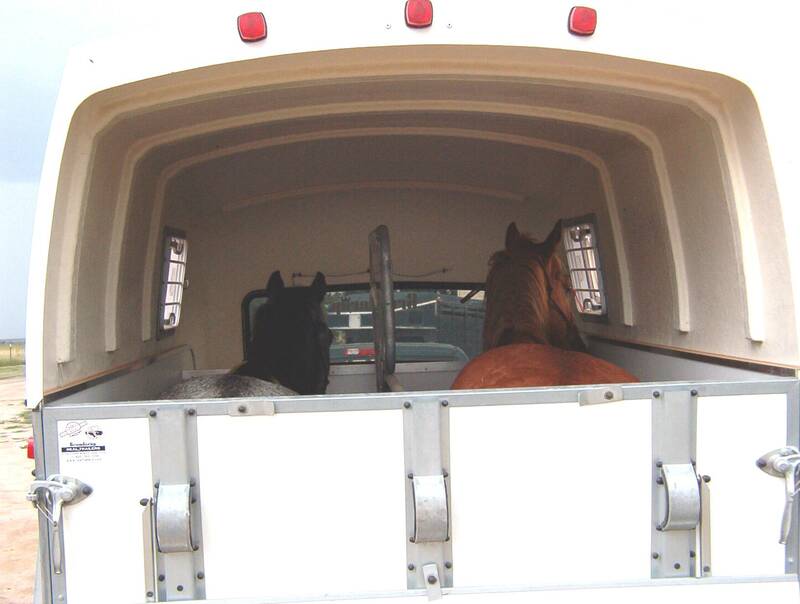 We hauled two horses for a scenic ride south of Parker CO. You should have seen the smile on the horses! 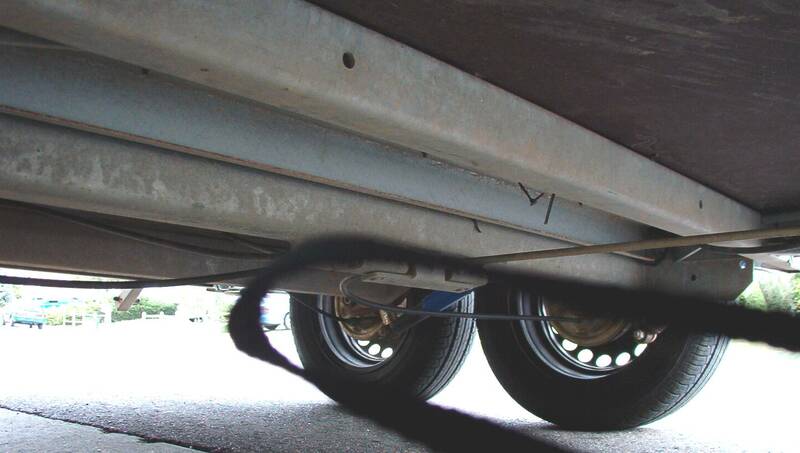 They also knew I wasn't driving. 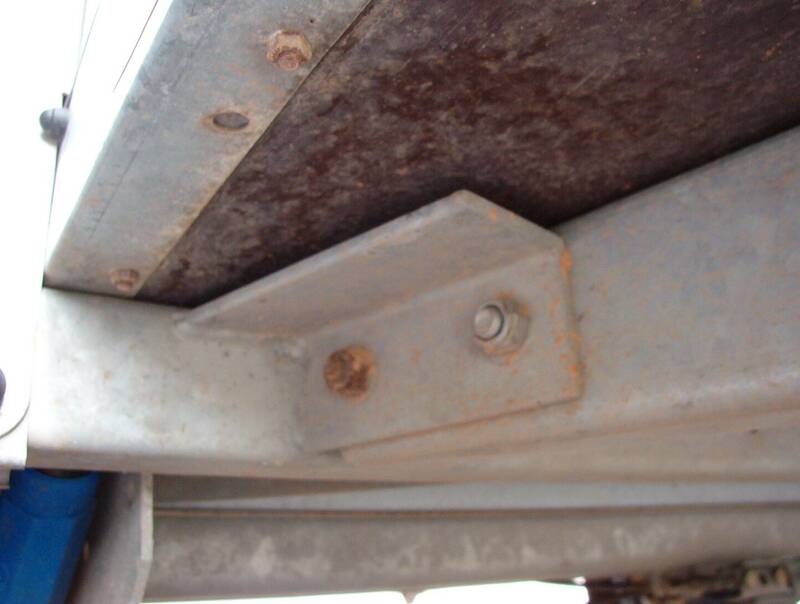 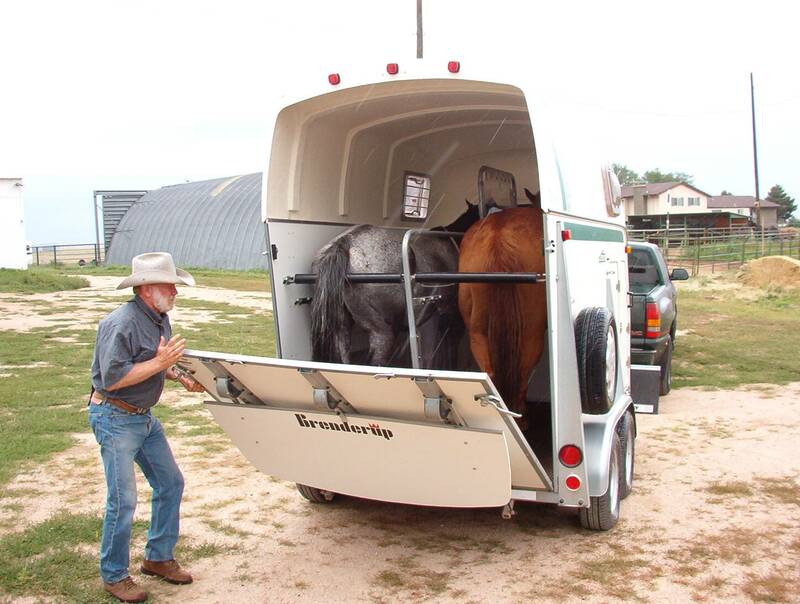 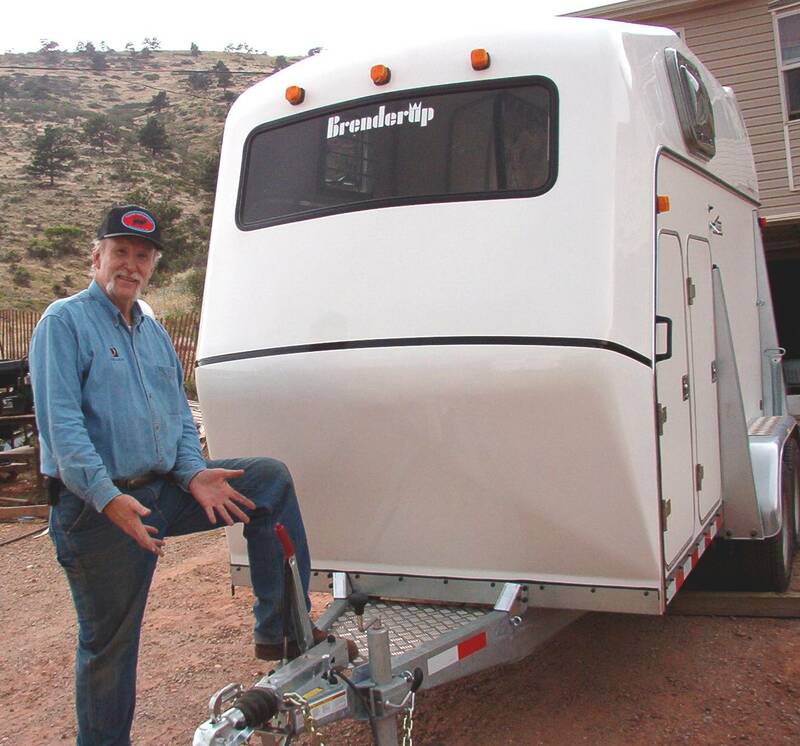 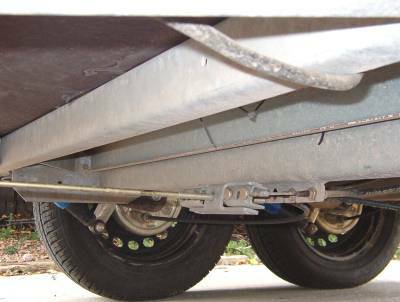 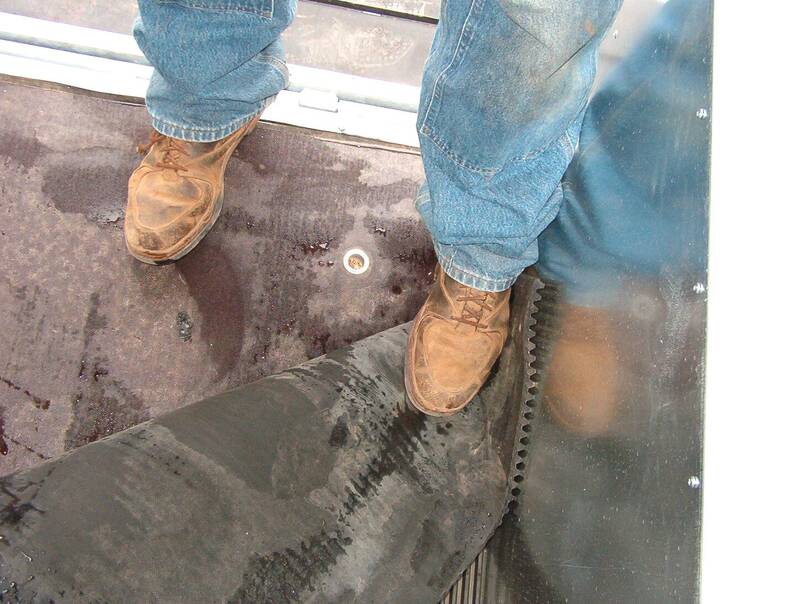 We didn't even use one of the features of the Brenderup trailer line, the rear jacks that stabilize the trailer as horses walk up the rubber padded cleated ramps. 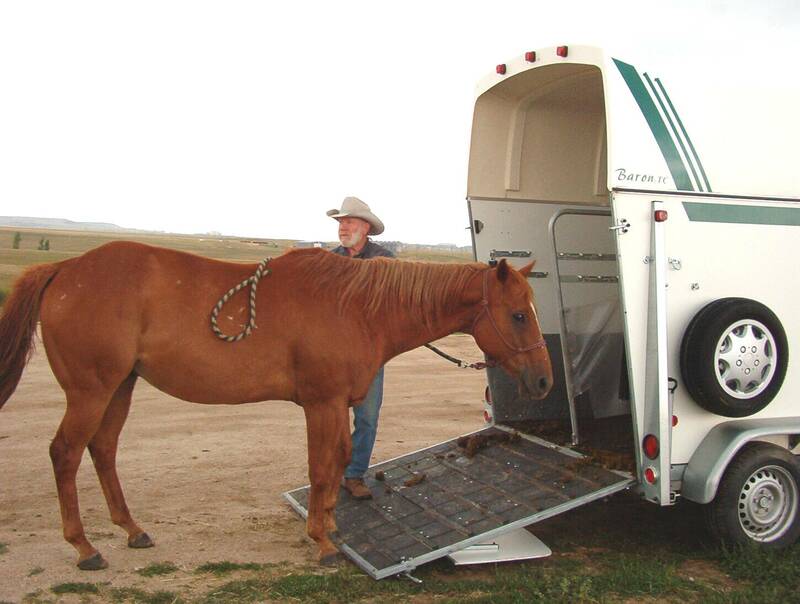 Jim told me the hollow sound of a ramp can scare a horse. 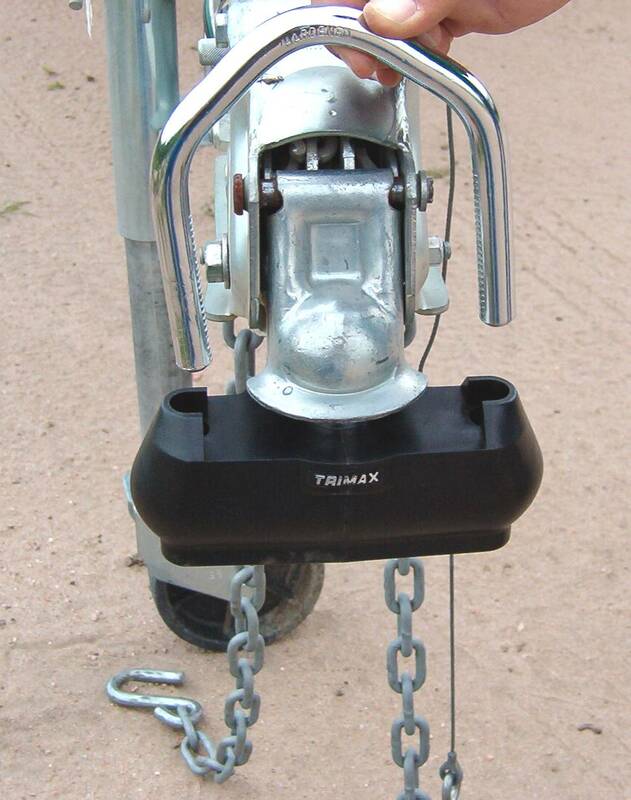 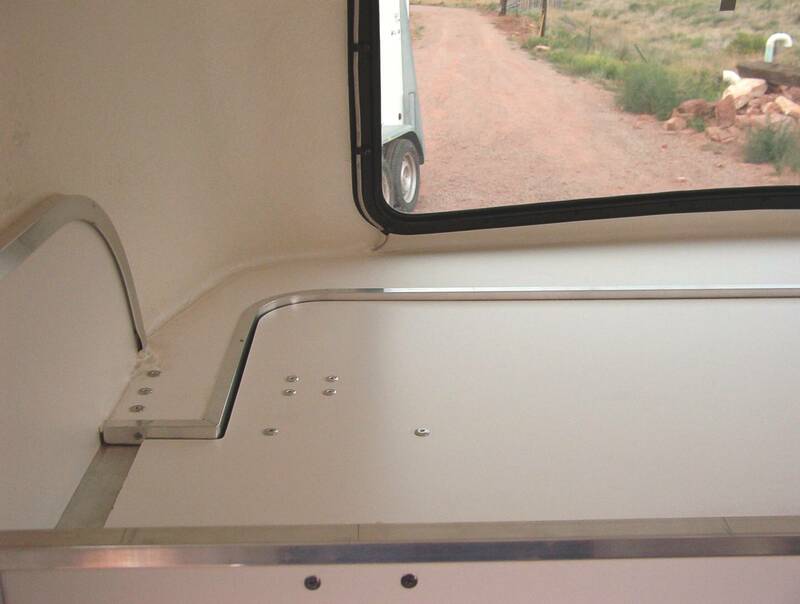 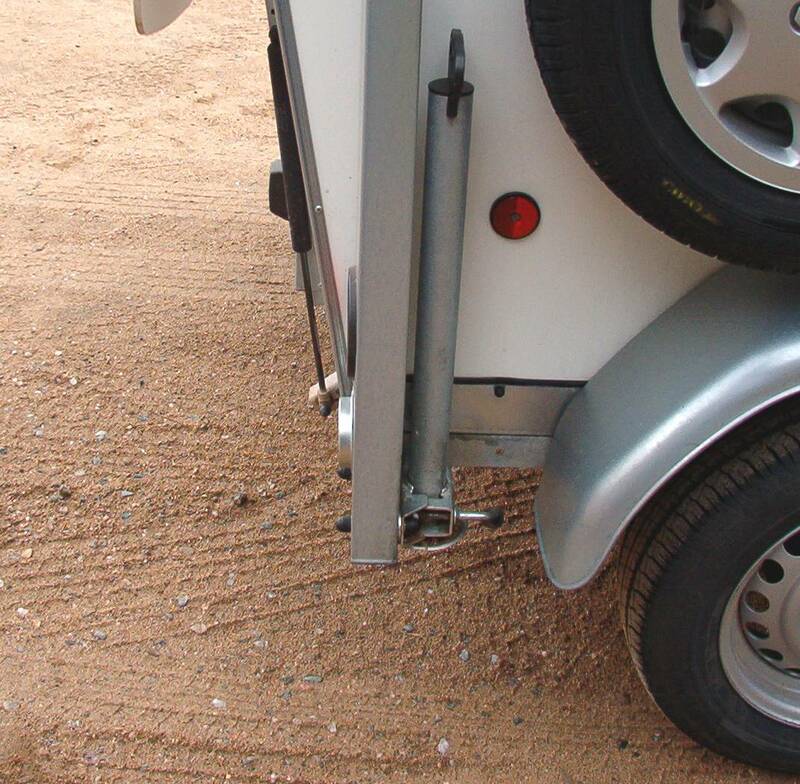 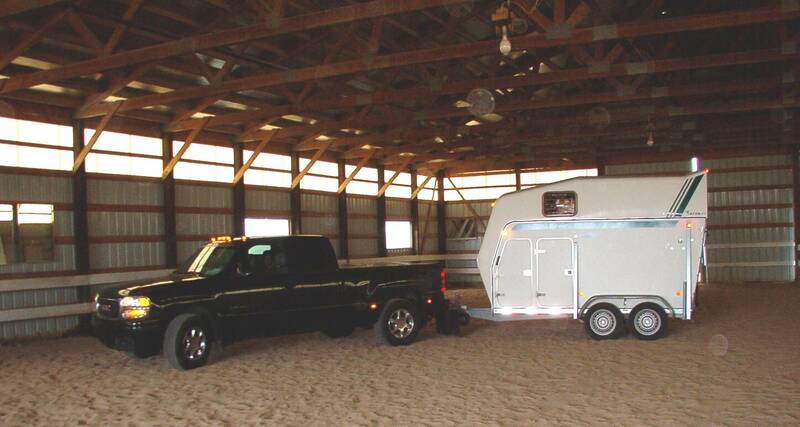 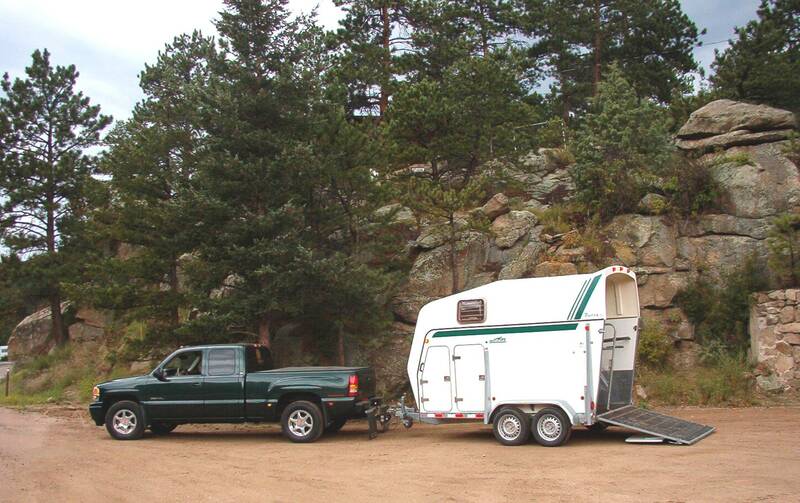 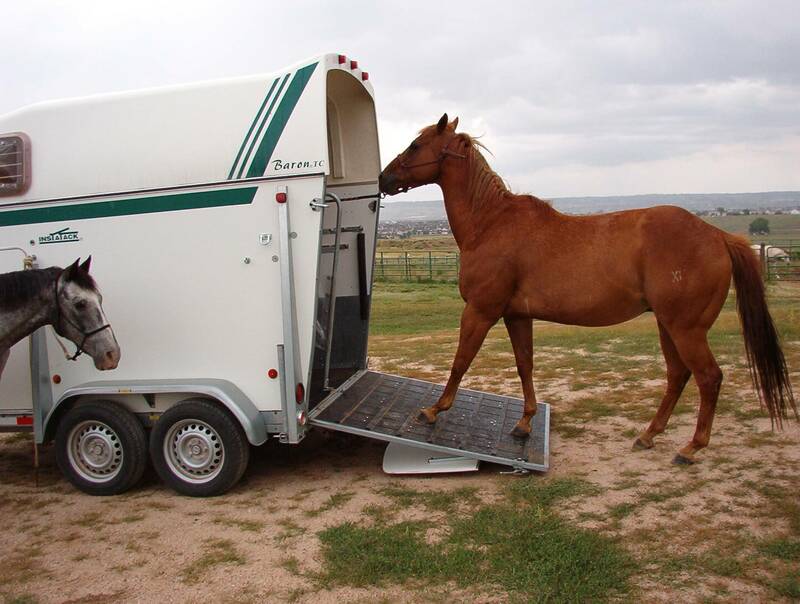 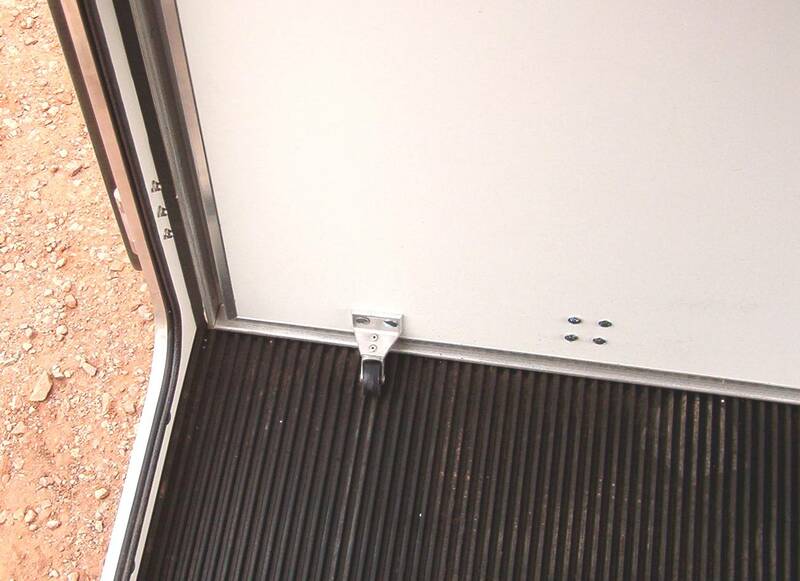 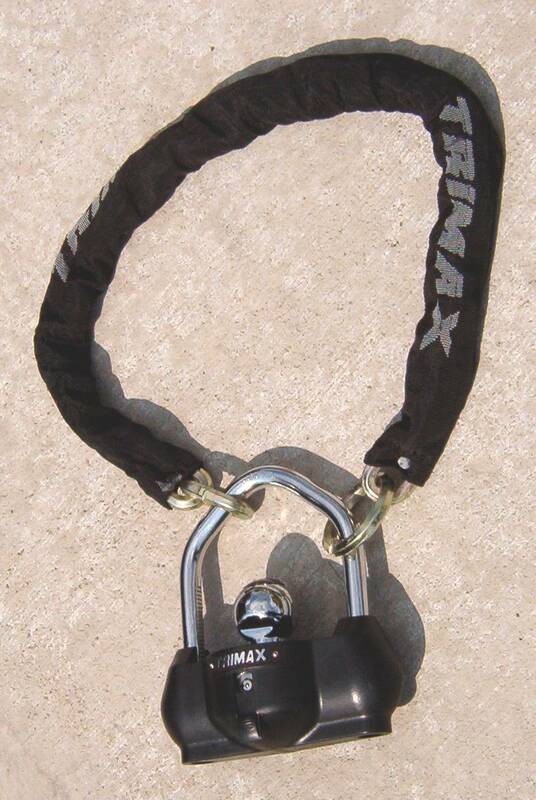 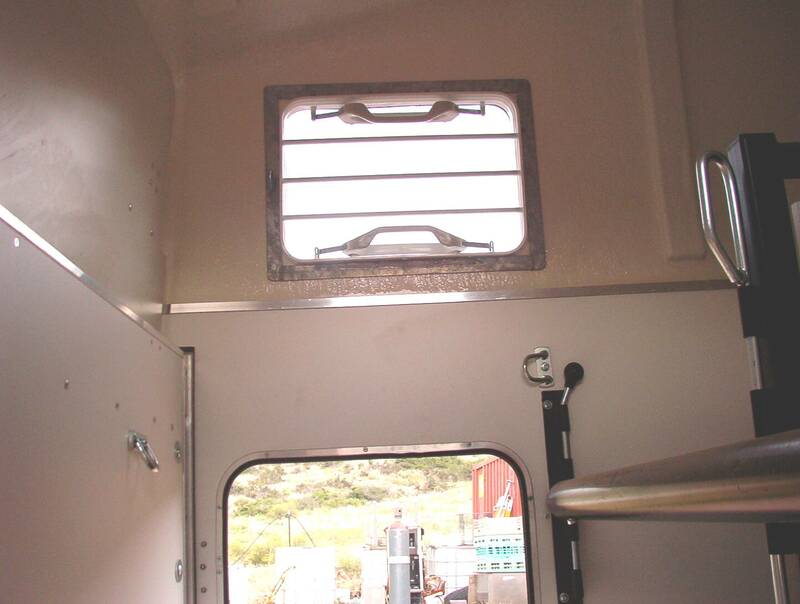 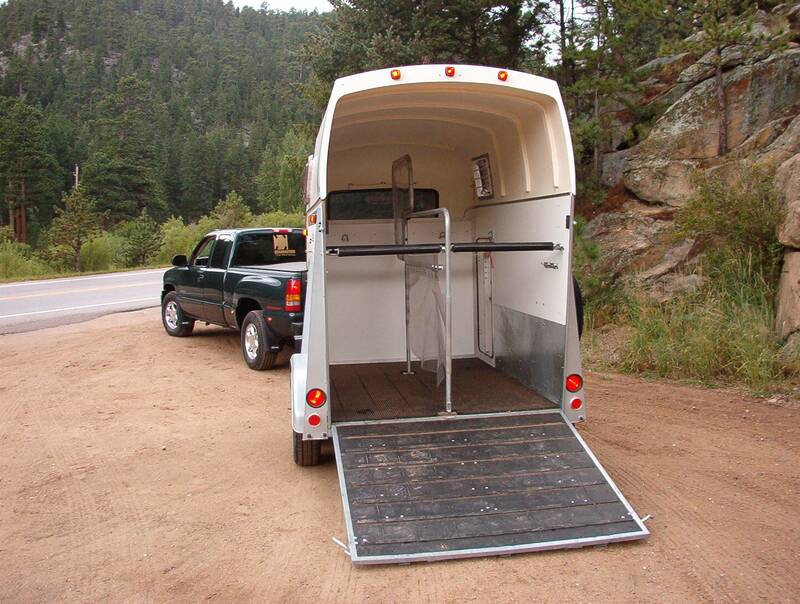 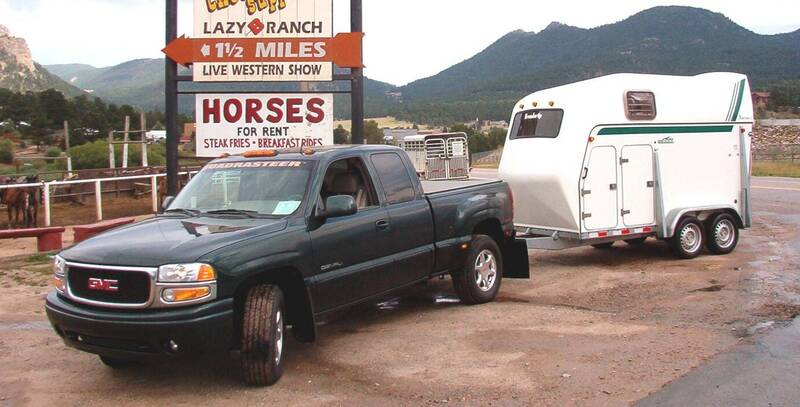 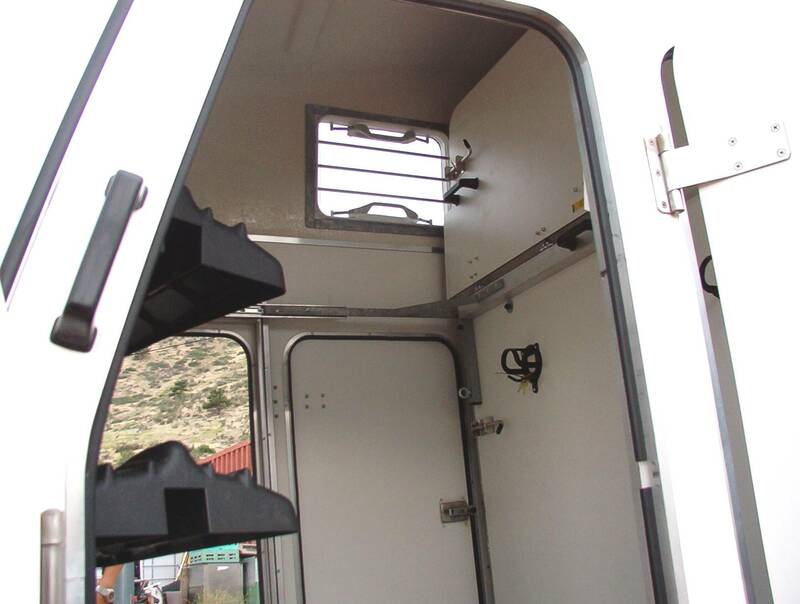 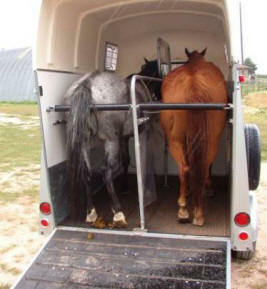 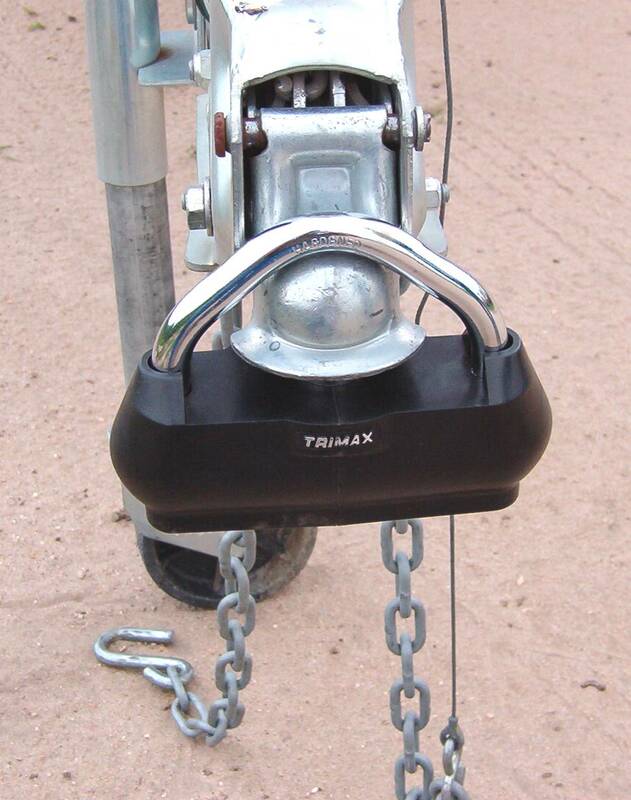 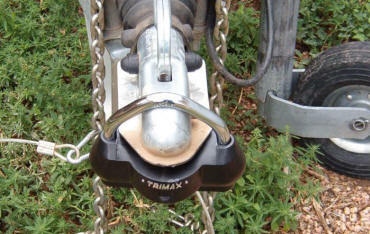 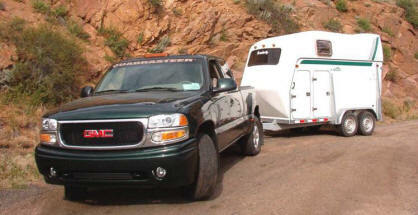 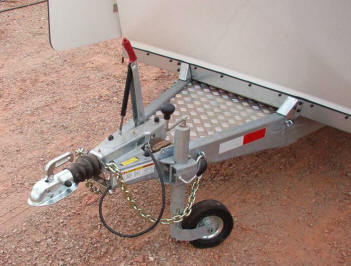 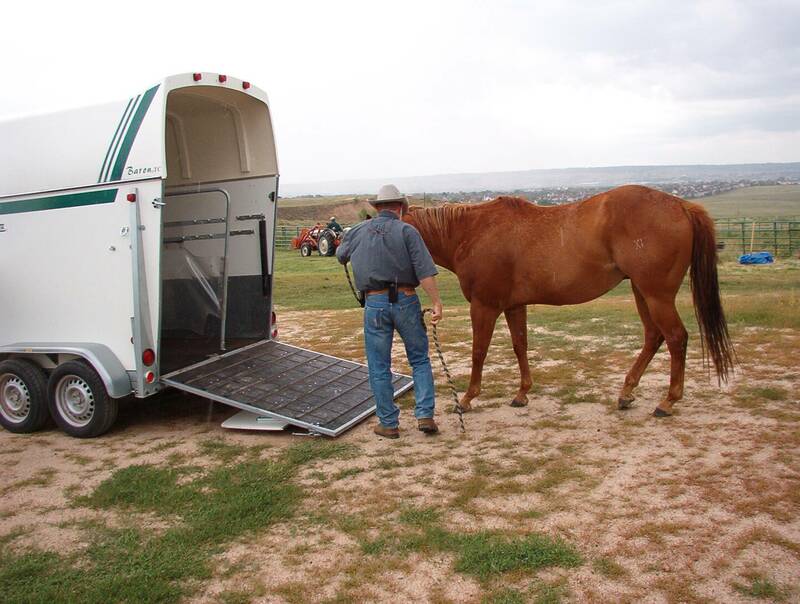 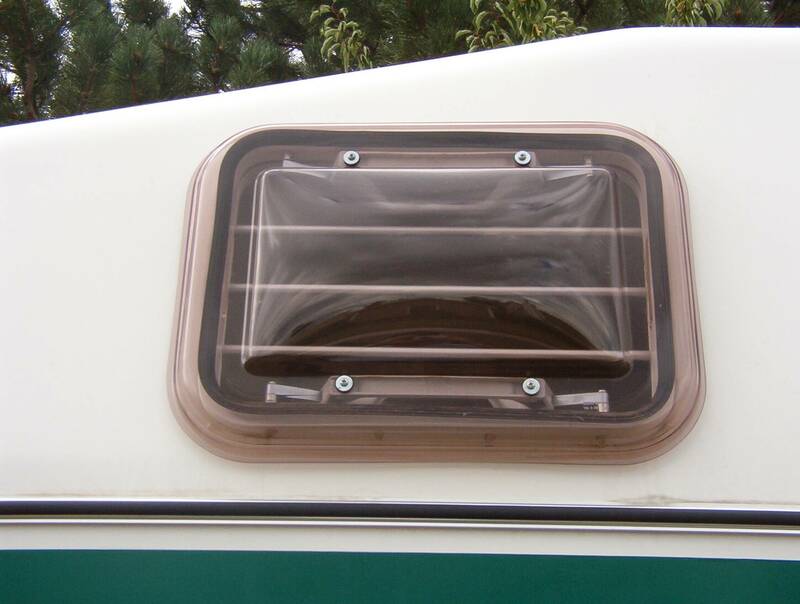 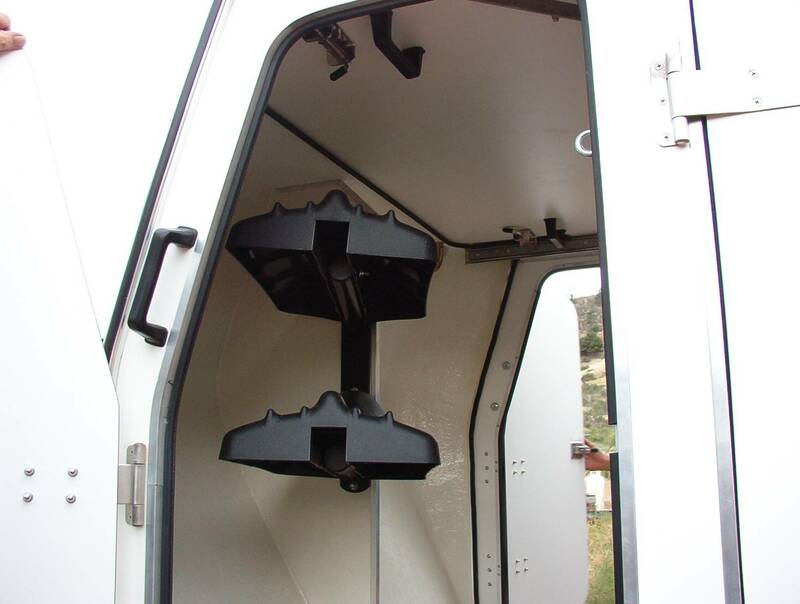 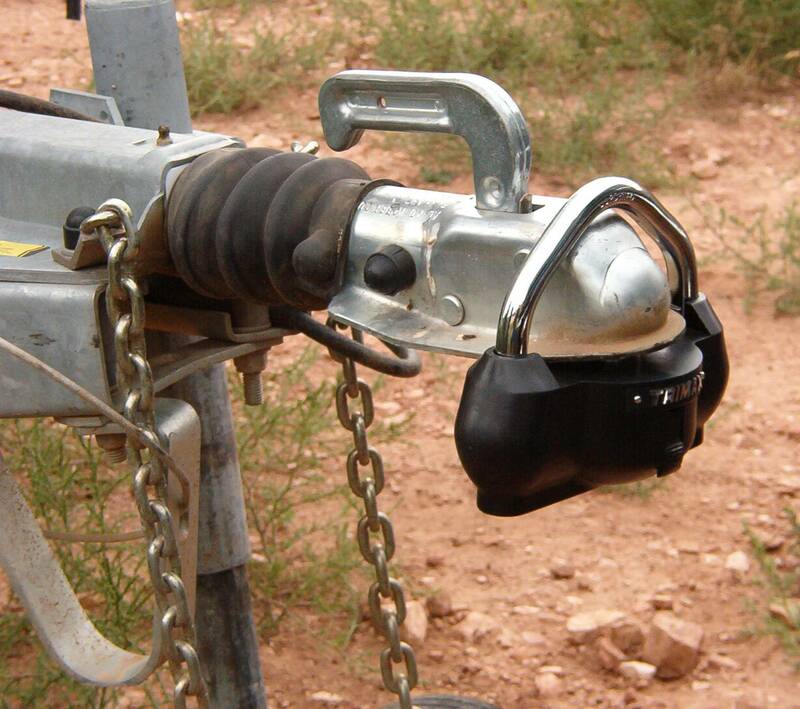 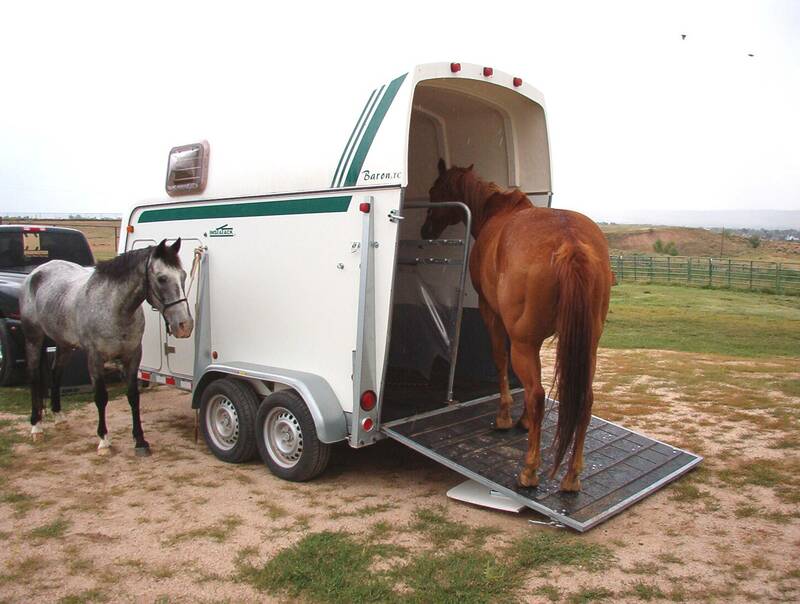 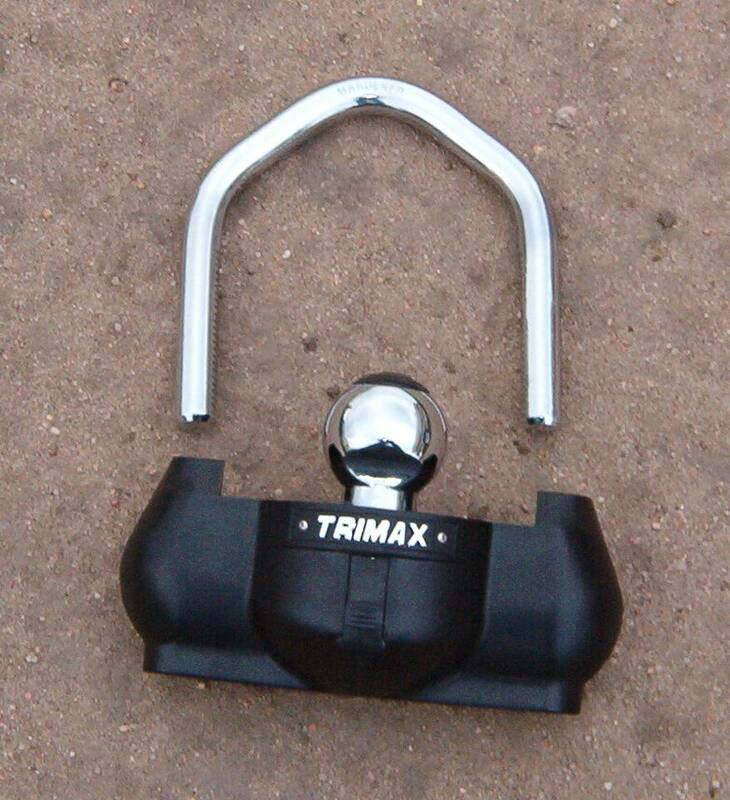 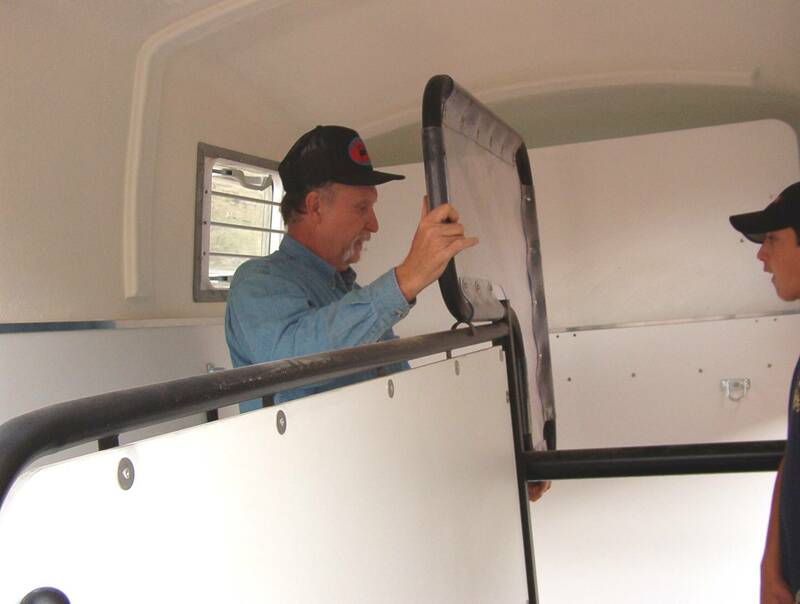 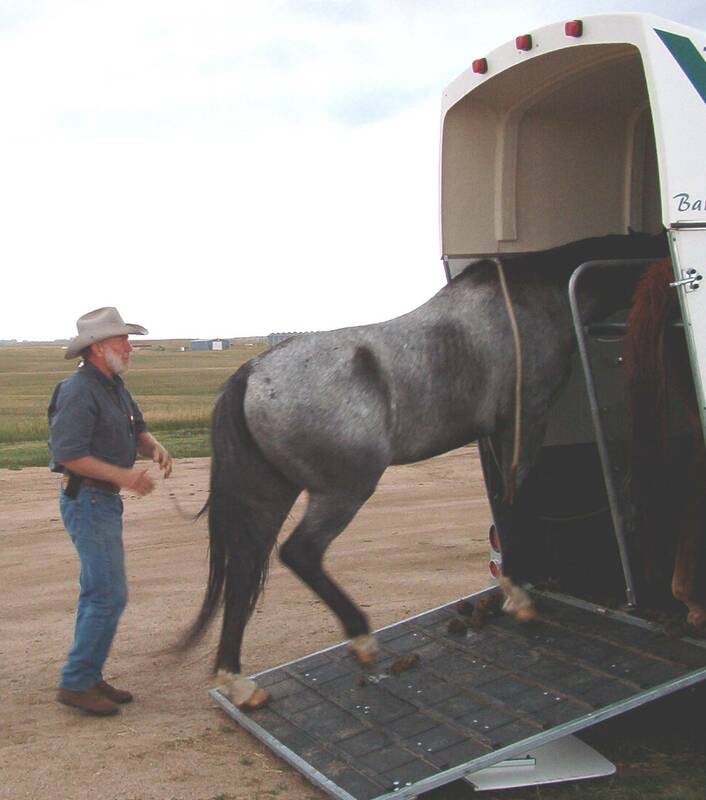 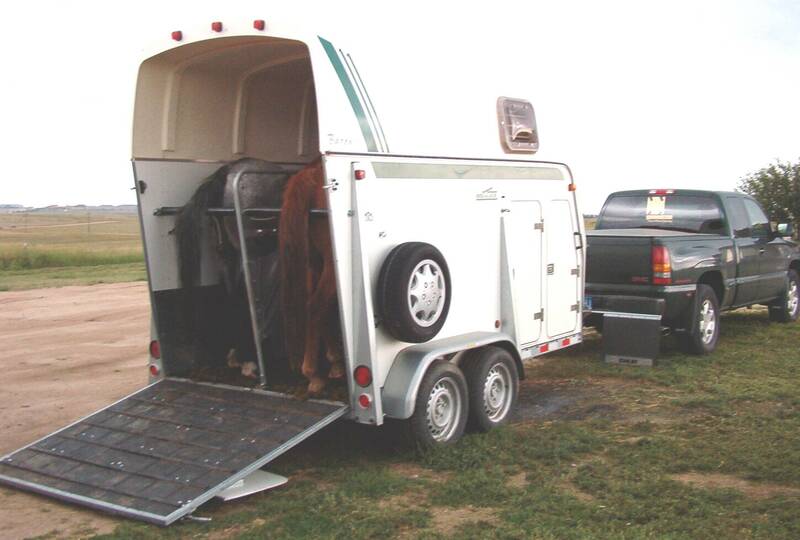 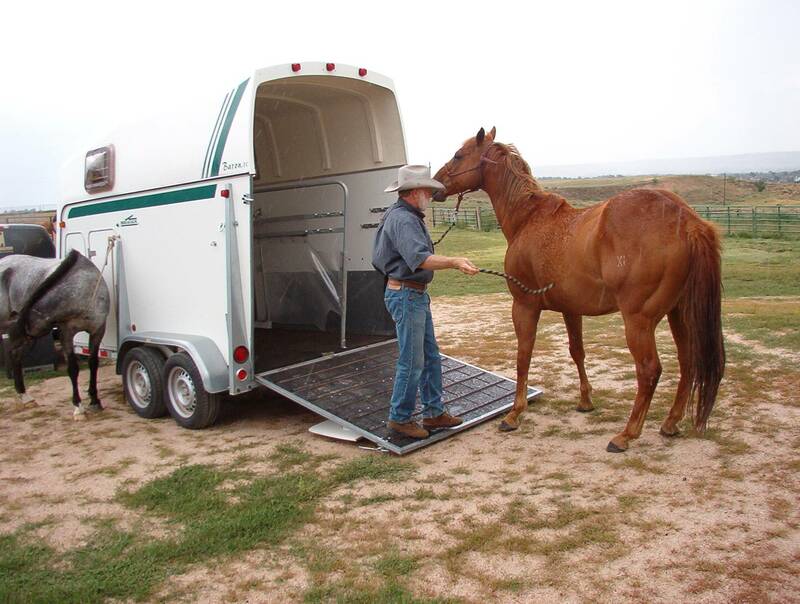 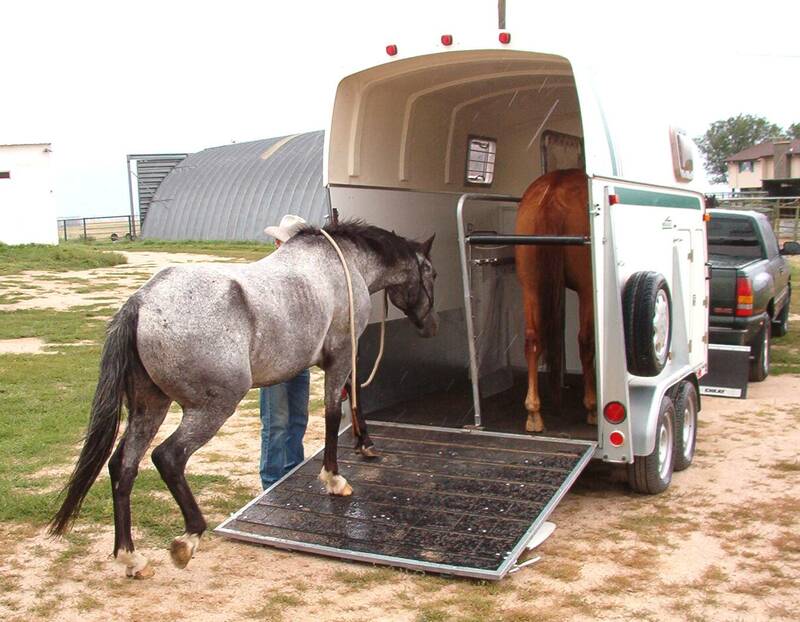 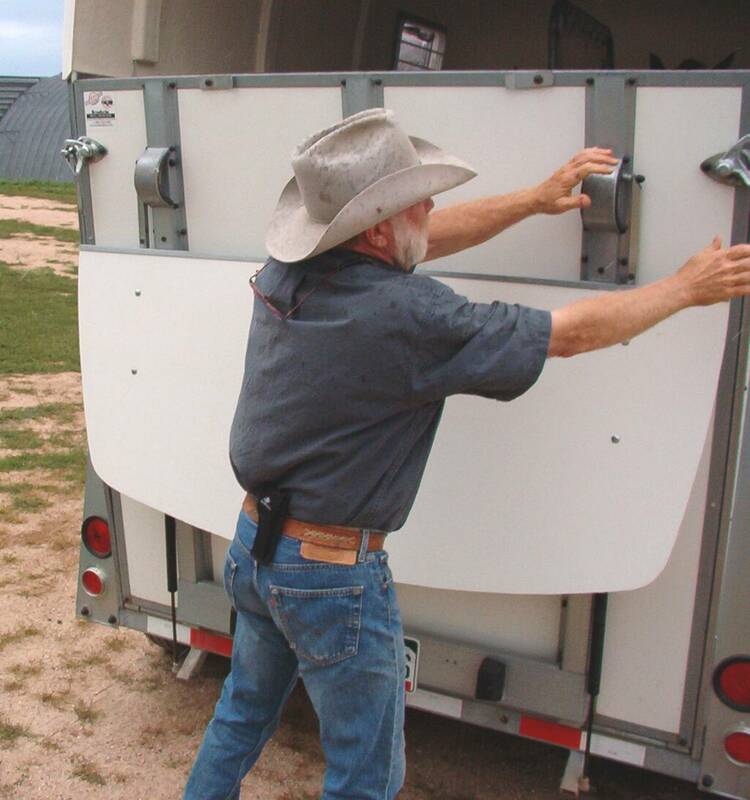 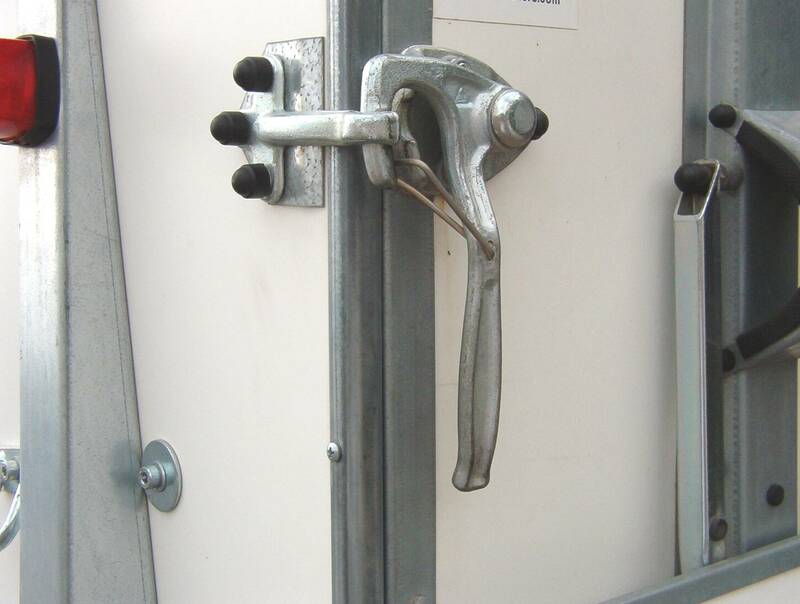 The rear jacks are a good idea for teaching a horse to use ramps, limiting the movement of the trailer. 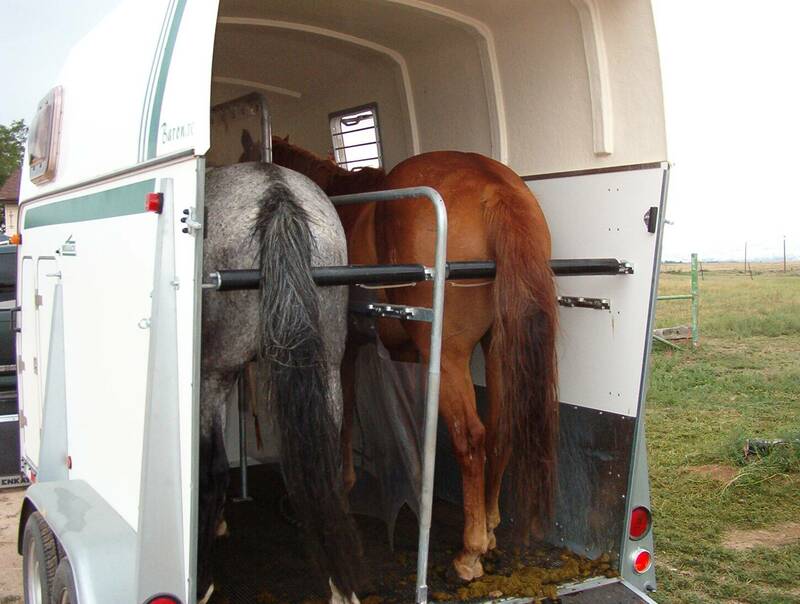 Yes it has a tack room, it stays put but the dressing room expands. 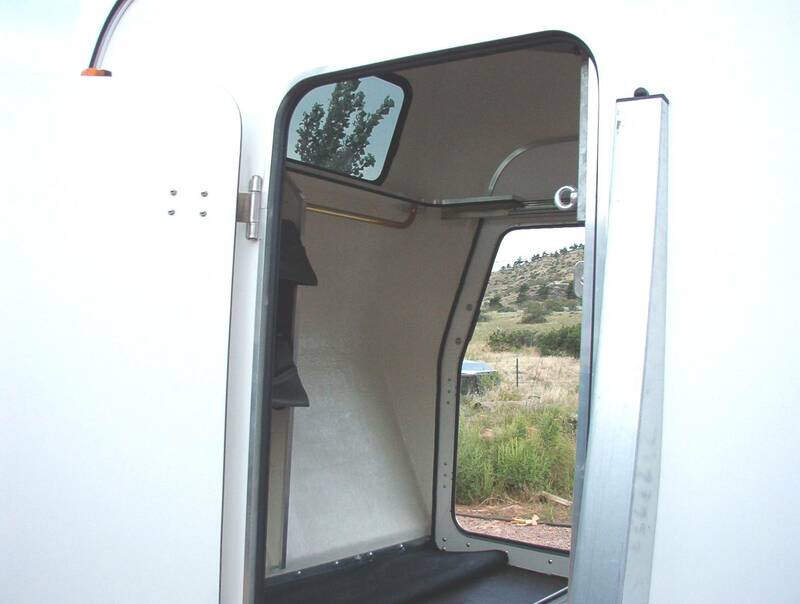 Here is the dressing room with the wall rolled back. 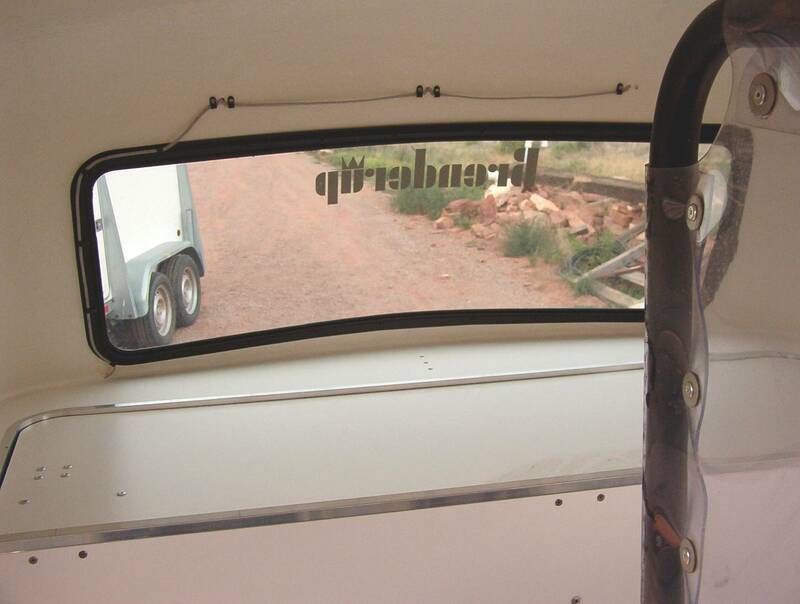 Now you can stand up out of the weather. 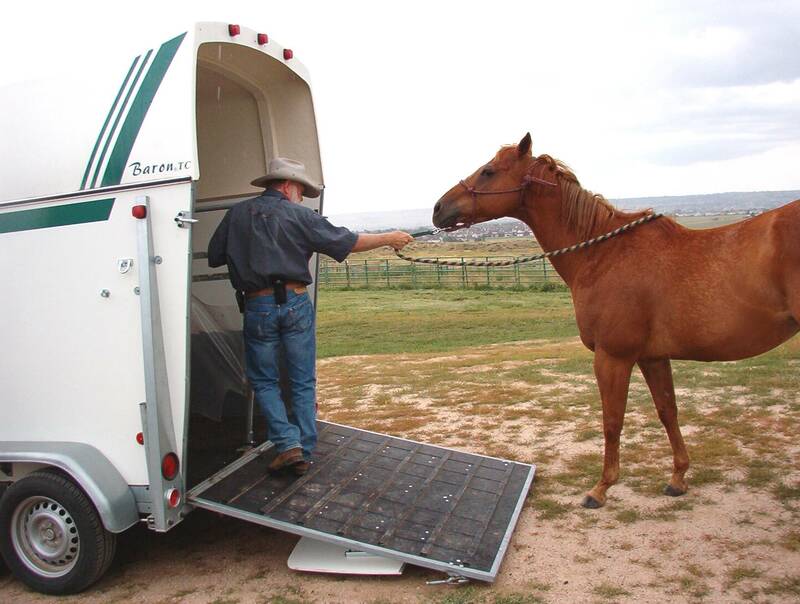 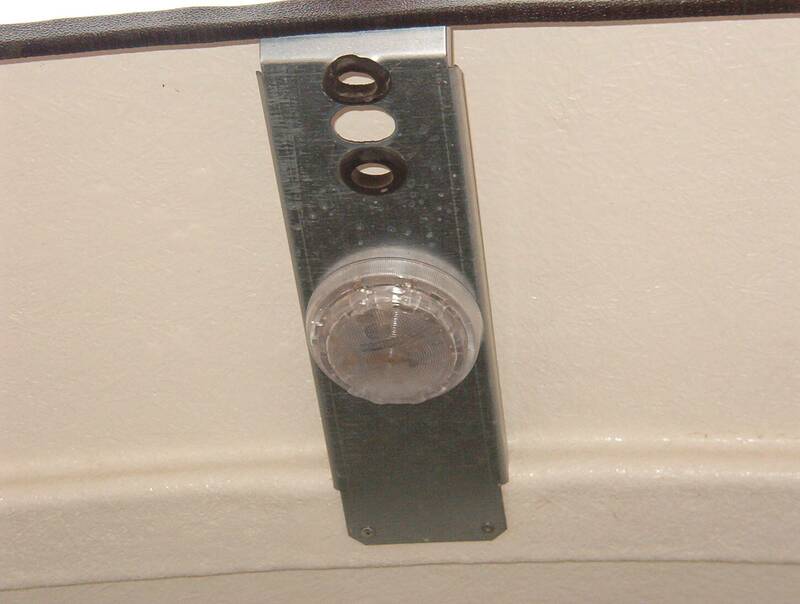 Doors on each side Ramp jacks are great for teaching horses about ramps, making them solid.